BRYAN EATON/Staff photo. 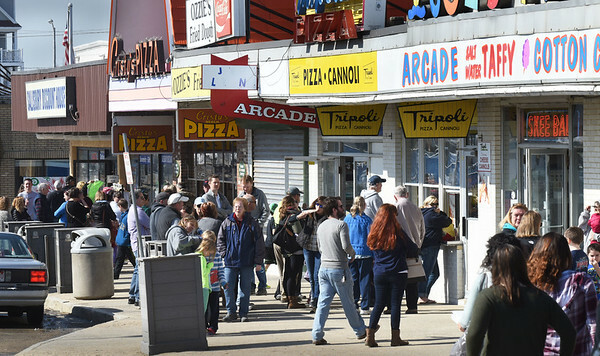 Combine warm temperatures with school vacation week and you get big crowds at Salisbury Beach going to the pizza shops and arcades. The weather stays above normal for the weekend with rain possible Saturday night.